W7100 displayed with edge 15. The W1300 is a very popular door style, it's gentle arch adds style to any kitchen. 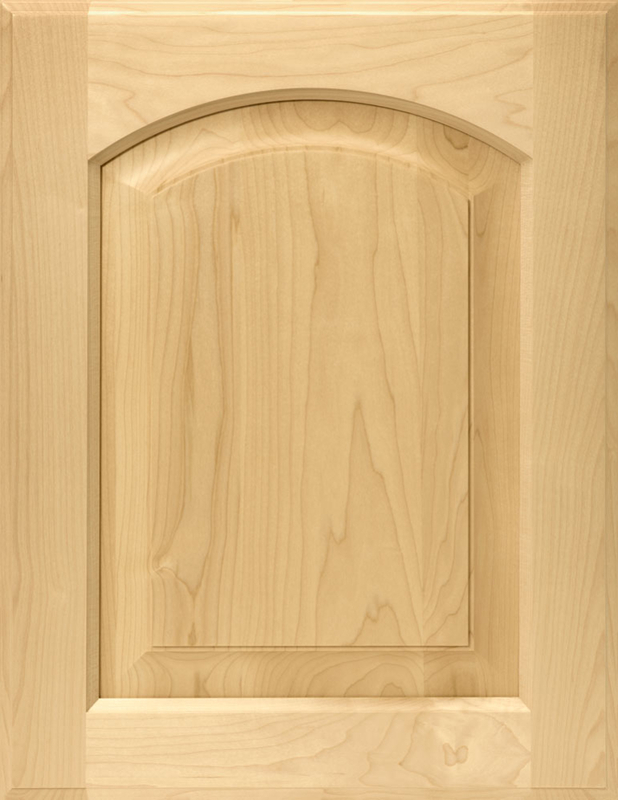 This door style is most often used on upper cabinets and is well paired with W1100V lower doors. The default stile and rail width is 2-1/4".